At the age of 16, Jim was paralyzed while working as a cadet in the Warwick Police Explorers program. The accident ended his dream of a career in law enforcement, but the tremendous outpouring of support from the community inspired a new dream. Determined to give back, Jim decided to pursue public service, and it is a passion he has followed ever since. 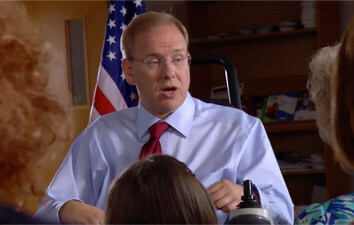 In the 2nd District, we enthusiastically support the reelection of Mr. Langevin. A former Rhode Island secretary of state who was first elected to Congress in 2000, Mr. Langevin has done a good job of representing his district and addressing his constituents’ needs. In Washington’s highly polarized and partisan environment, he has also shown a critical ability to work with members of both parties to craft legislation. 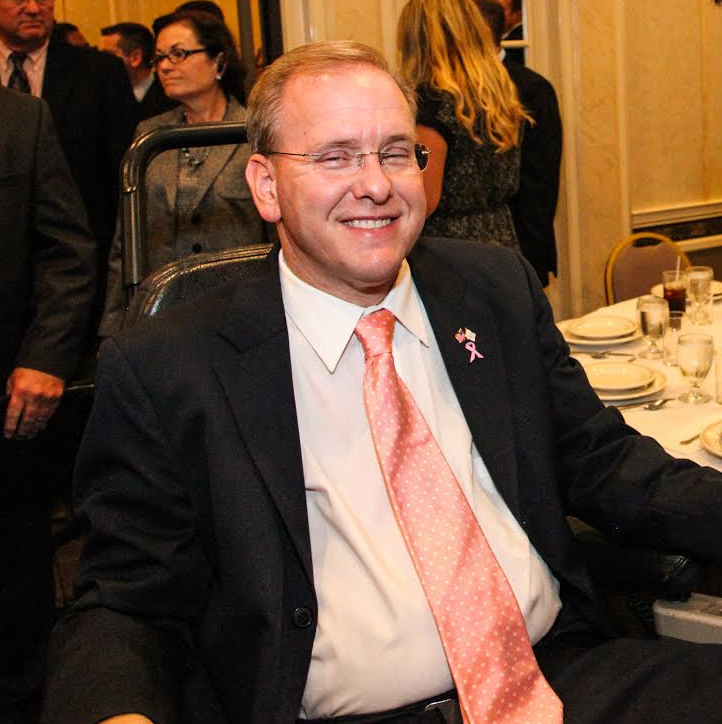 Since 2001, Jim Langevin has brought a spirit of energy, compassion, and courage to the United States Congress. He is committed to continuing the fight for his state and the issues that affect the lives of Rhode Islanders, especially those living in the Second Congressional District, which he proudly represents today. Jim is a senior member of the powerful House Armed Services Committee, where he serves as Ranking Member of the Emerging Threats and Capabilities Subcommittee, and is a senior member of the House Committee on Homeland Security. His expertise on and understanding of national security issues has positioned him as a leading voice in this arena both at home and abroad, and on cybersecurity, in particular. He is the co-founder and co-chair of the Congressional Cybersecurity Caucus, and is looked to by his colleagues as an authority on the challenges and opportunities our nation faces in cyberspace. In addition to his committee work, Jim is steadfast in his efforts to grow jobs and strengthen our economy in Rhode Island and beyond. He co-chairs the Congressional Career and Technical Education Caucus, and has successfully advocated for policies and programs that better connect our classrooms to careers, ensuring that young people have the skills they need to be successful. Throughout his time in Congress, he has consistently supported and introduced measures that improve gun safety, protect our environment, and increase federal funding for lifesaving research. He is a strong voice for people with disabilities, and he continues to work towards an America where all people are truly treated equally. As Secretary of State, Jim took on the daunting task of reforming Rhode Island’s outdated election system, created the Public Information Center, and released “Access Denied,” a joint report conducted with the Taubman Center for Public Policy at Brown University, which documented widespread violations of the state’s Open Meetings law. A strong commitment to good government has characterized Jim’s career in politics, a career that began as the result of an accident that changed his life forever. In 1980, at the age of 16, Jim was injured while working with the Warwick Police Department as a cadet in the Boy Scout Explorer program. A gun accidentally discharged and a bullet struck Jim, leaving him paralyzed. While his injury ended his dream of a career in law enforcement, the tremendous outpouring of support and encouragement from his friends and neighbors inspired him to give something back to the community. Jim ran as a delegate to the state’s Constitutional Convention in 1986, his first campaign for public office. He won that race and was ultimately elected Secretary of the Constitutional Convention. 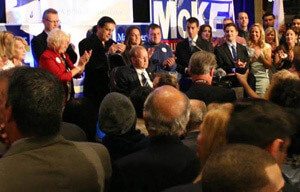 Two years later, he won election to his first term in the Rhode Island House of Representatives. Jim is a lifelong resident of Warwick. He received his Bachelor’s Degree from Rhode Island College and his Master’s in Public Administration from the Kennedy School of Government at Harvard University.